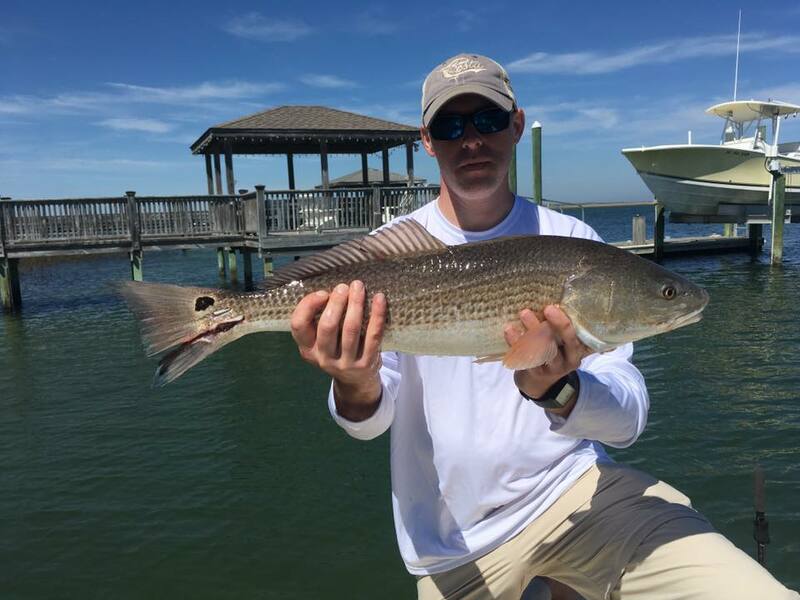 When the subject of inshore fishing is brought up, we immediately go to thoughts of tailing redfish, marsh grass, oyster bars, spotted seatrout, flounder, grass flats, etc. But if asked about exact locations, maybe places like Louisiana, Florida or even Texas comes to mind. While those places are at the forefront of the inshore fishing world, there is one place that deserves just as much recognition, if not more: North Carolina. North Carolina has a rich shoreline that consists of several barrier islands that make up bays and estuaries that the popular inshore species call home. These areas include Wilmington beach, Wrightsville beach, Topsail beach and Figure 8 Island. Several things go into an area that makes it a world class inshore fishing destination and these areas have what it takes to do just that. Things such as freshwater intrusion, protected bays, a sustainable food source and ideal habitat are all important features when talking about a productive inshore fishing ecosystem. Wilmington is one of the fastest growing cities in the country and for good reason. Plenty of attractions such as dining, shopping and white sandy beaches keep tourists coming here year after year, but what Wilmington is probably best known for, especially in the fishing world, is the Cape Fear River. This 202 mile long river system brings in nutrients to the inshore world that are much needed. This allows for several different species to gather at its mouth and even up into the lower, brackish waterways to collect food, find protection from predators and even find warmer water when winter approaches. The Cape Fear River is the lifeline to all of Wilmington, both to humans and marine life alike. Wrightsville Beach is a wildlife gem unlike any other. The crystal clear water surrounding Wrightsville Beach is a sight-fisherman’s dream. Although known for its world class spring and summer fishing, Wrightsville Beach is an angler’s playground year-round. This area is also a stopping point for several migratory species that feast on the plethora of bait fish that call these waters home. Topsail Beach and Figure 8 Island are barrier islands that provide ample amounts of protected back waters. Complete with grass flats, oyster bars and mud flats, this area is known for fantastic redfish and flounder fishing. Some even claim it’s the best on the East Coast! Since most of these fish are caught in about 6” of water, seeing your fish prior to casting is a common occurrence. There’s nothing like getting out early in the morning, watching the sunset and sight casting to tailing redfish! Topsail Beach is ideal to beginning anglers as well as seasoned vets. Is fly fishing your thing? Then look no further! The backside of Figure 8 Island is a fly fisherman’s dream. Come experience the beauty of my backyard right here in North Carolina by booking a trip with Wilmington.Fish’s own Captain Mike Hoffman. Bring the family! I love fishing and sharing my knowledge of the sport with others. I welcome friends, families, and children onto the Corona Daze with the intention of making sure everyone has fun and catches fish.